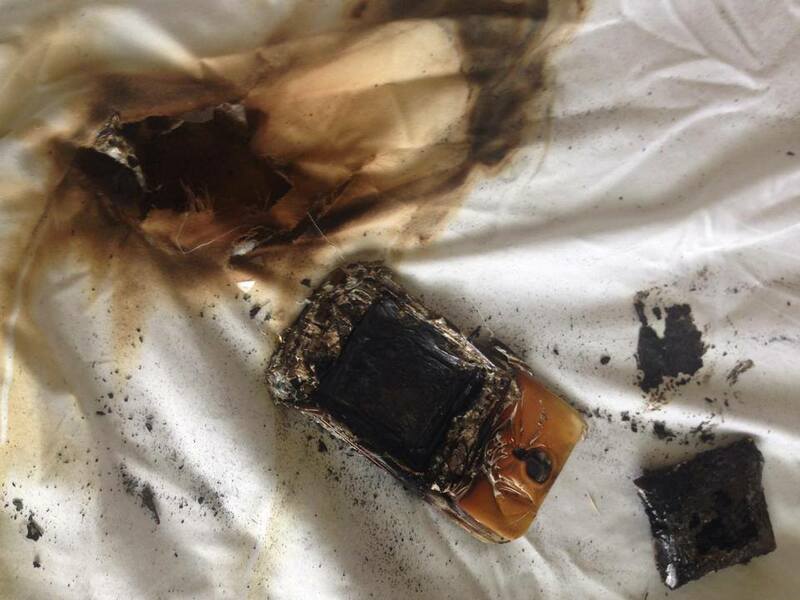 The picture of the culprit: Samsung s4 phone that caught fire. Courtesy of Steve Noviello facebook page. FoxDFW reports a story of a Samsung Galaxy s4 phone placed under a pillow getting so hot it melted the plastic and scorched the bed clothes. “The whole phone melted” said her dad, Thomas. “The plastic, the glass. You can’t even really tell that it was a phone.” Tolfree says her phone slipped under her pillow as she fell asleep, and the smell of something burning woke her up in the night. “I didn’t think much of it, so I went back to sleep, and then I woke up again and it was more prominent,” said Tolfree. Her dad suspects the phone overheated, causing the battery to swell and start a fire. A spokesperson for Samsung says their products are safe, and pointed out that the battery inside the phone was a replacement unit and not an original Samsung part. Nevertheless, the company does agree there is a need for consumer education when it comes to rechargeable batteries. That’s exactly why they post a warning in their user guide, which specifically states covering one of their devices with bedding or other material could restrict airflow and cause a fire. To their credit, Samsung agreed to replace the bedding even if they will blame it on the non-Samsung battery. Some of the commentators on the site as simply asinine especially the ones moaning about why a 13 years old has a nice smart phone. Why does that even matter? If she had been 22 year old, would that make it ok? There are some interesting comments in there about Galaxy getting hot which makes putting it in a case impractical. A simple internet search shows many people saying the same thing about the Galaxy. Continue reading..
Guilty as not charged : TSA may require phones to be powered on as a part of screening. The Transportation Security Administration announced Sunday that on certain overseas flights to the United States, it will not permit “powerless devices” — cellphones and computers that cannot be turned on. Airport security officers may ask passengers to power-on devices during security screening, which could mean slower security lines for travelers. Passengers could also be taken out of line for questioning, TSA said. TSA already sometimes asks travelers to turn on laptops, presumably to determine if they are real rather than filled with explosives. It is unclear how TSA plans to deal with passengers without chargers whose devices are dead. The announcement doesn’t say what will happen to a phone that can’t be turned on, or how the owner will retrieve it if confiscated by airport security. I lived in Germany until 1998, where the airport security would weigh laptops to see if they were within specification. If you added a daughter card it could take it out of specification of if your model of laptop wasn’t in their file, then they’d take it for further inspection. I had a bit of schadenfreude at the airport when I saw a particularly loathsome manager from my company get pulled aside because he had added a fax card to his laptop. He missed his flight and was furious about it. It is good to see the German security jettisoned the weighing requirement as their list got obsolete very quickly but for a long while, they required you boot it a laptop to get to the window screen. 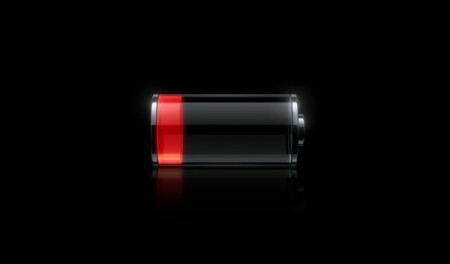 After living through the German screening experience, the phone power up is not that big a deal in the scheme of things as most phones boot quickly or you just leave it on. However, one my current iphone, the on/off button no longer works after about 1 year of ownership. A simple internet search shows this is a common problem – thanks Apple – and I have to do a funky works around to have it lock the screen to save power. I’ll need to watch this more closely now. The US has declared that it will not allow mobile phones – especially iPhones and Samsung’s Galaxy – onto US bound planes from some airports in Europe, the Middle East and Africa if the devices are not charged. The new measure, which is bound to cause chaotic scenes at airports around the globe, is part of the US Transportation Security Administration’s effort to boost surveillance amid concerns that terrorists are plotting to blow up an airliner. As part of the increased scrutiny at certain airports, security agents may ask travelers to turn on their electronic devices at checkpoints and if they do not have power, the devices will not be allowed on planes, the TSA said. No doubt the new measures have the potential to create frantic searches for chargers at airports and one US source familiar with the matter said laptop computers are also among the devices security screeners may also require passengers to turn on. Chaos ? Frantic searches ? Oh the humanity. Somehow I don’t think so but this is the Daily Mail at it’s sensationalist best.